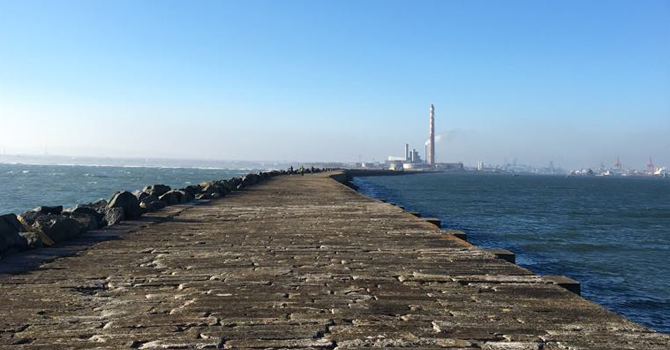 Danish native and journalism student, Emma Frost Vanggaard, tells us about starting a new life in Ireland. I live in Ireland. For the second time. Why did I go back? The country offers something unique, which I’m still trying to find words for — I’m struggling to describe what that particular thing is, let me tell you my story instead, and hopefully it will speak for itself. I’m from Denmark, Copenhagen, and I first understood Ireland properly when I moved to Dublin in 2015 to work as an au pair. It was a pure coincidence that the destination was Dublin. Someone reached out for my help and I thought why not? I never thought about being an au pair and Dublin would certainly not be my first choice. I can only blame that on my lack of knowledge about the city and the country itself, because it turned out to be the best decision of my life. As the year went on, I fell more and more in love with Dublin, or should I say the people. There is no doubt, that the Irish people have a completely different approach to each other, than the Danes. In general at home, I don’t see people acknowledging each other while passing one another, the same way people do here. In fact, approaching a stranger on the street would be challenging because it is simply not very common, unless there is an important reason to do so. In Ireland, if you are standing at a bus stop or queuing in a supermarket, it would not be unusual to fall into a conversation with a complete stranger. “How are you?” is the question I hear multiple times a day — I find it a very nice gesture, even if people aren’t interested in hearing your problems. It just displays sympathy for other people. It is not something I’m used to from home and that is probably the main reason I fell in love with the country. Not to mention, I found love. Just before my time in Dublin had come to an end, my now partner and other half showed up so we had to figure out a good solution for us both. I was about to start a new chapter in my life anyway, so it was decided. However, education was also a huge part of my decision to leave Denmark. I was at the beginning of a ‘Communication & IT’ course at Copenhagen Business School when I got the offer from Dublin Business School to start a BA (Hons) in Journalism. Journalism was always something I was interested in but because of the requirements in Denmark, it had been inaccessible to me. So here was an opportunity that I’d dreamt of. Education is free in Denmark, so spending around €6,000 a year was something I was not completely prepared for and people often ask me, why did you leave that amazing country? But all I can answer is what I have already said above. I am now finishing my third semester of my bachelor’s degree and I have no regrets so far. When I first started I was very nervous, mostly because of the language barrier. I was worried that I would not be able to keep up, but it all turned out fine. I’m so grateful for what studying in English has given me. I really enjoy my course, mostly because it is very practical. I’m not ‘a reading horse’, as we say in Danish. Reading 500 pages a week and writing tons of essays is not how I learn best. We learn skills in photoshop, film, web development, instructional design, feature writing, reporting, shorthand writing, interviewing, podcasts and so much more. Because of all this, I’m not worried about landing a job when I finish — I believe I can do many things. My first year in college was difficult at times. It was all my own fault as I expected new friendships would be easy to come by but there are only seven people doing the course, so there weren’t a lot of students to engage with. Therefore, I decided to sign up as a Peer Mentor before the beginning of my second year, which helped me to expand my circle of friends. I got to know other peer mentors and also make sure that new students would get a better start than me. I wanted to make sure that they knew how important it is to engage in college activities. Not only did it give me more friends, but a higher motivation when it came to the academic part of my college-life. 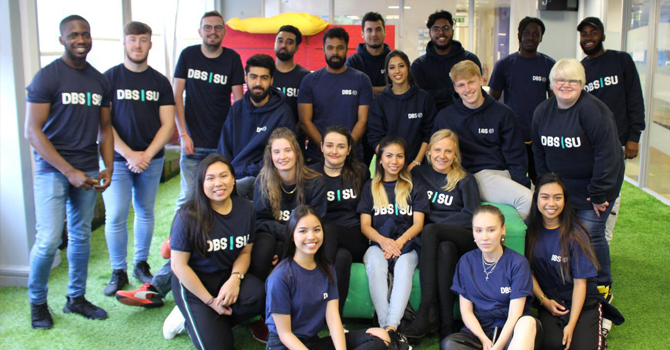 I also joined the Student Union at DBS which I would recommend to any student — Especially if you are a foreign student and don’t have many people around you. This community quickly became a small ‘family’ and every time I’d enter the college, I would see someone I knew so there was always somebody to talk to. Besides joining the SU, I also started the DBS Swimming Club and my passion for it keeps growing. I was swimming competitively since I was small until the age of 18 and have been teaching and coaching for the last nine years. The swimming club is a huge success and it has truly enhanced my college experience. Moving to another country is not something you do without hesitations, at least not if you are happy where you are. It was hard to leave my family and friends and a country full of opportunities. But my mom once said: “You are not running away from something just because you are running towards something new.” Her words make so much sense to me and make me feel calm when I feel homesick. Dublin Business School is an amazing university and it makes me think of college as a very important time of my life. I will do everything I can, to pass on that feeling to as many students as I can.